Are you thinking what I’m thinking? Customer context leads to better service. We’ve all been there: calling into a company for help and having to explain the details of our issue over and over again to every new person we encounter. It’s why the opposite scenario—a more personal encounter and a speedy resolution—feels so amazing. One of the reasons the more personal scenario is rare is that the problem is often so complicated that customers either don’t exactly know what it is or they can’t articulate it very well. Particularly when it’s related to a more complex product issue. For businesses building Web-based and software applications, knowing how customers interact with the product before they even reach out with a support issue can be the deciding factor between customer success and account churn. 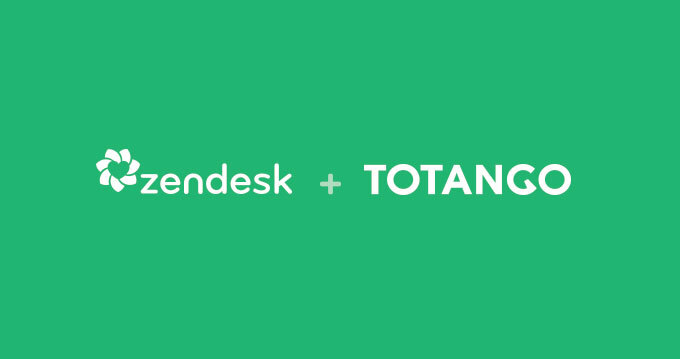 A new app for Zendesk developed by Totango, a customer engagement management tool for cloud apps, gives customer-facing teams more context on your customers even before they contact you. 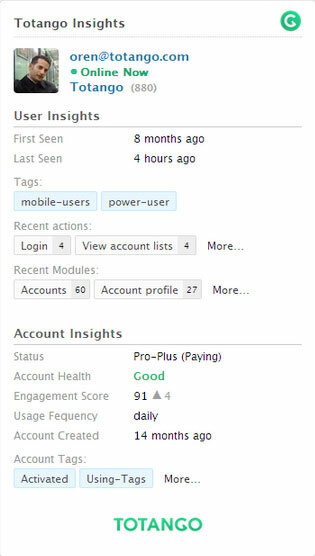 With insights about individual users, account health, and product engagement, your support agents can provide tailored and fast support. They’ll quickly identify power users versus beginners, understand if an account is at-risk or approaching renewal, and see a summary of the user’s most recent activitiesright in Zendesk. The new Totango app is just one of the many ways you can bring more customer context into your support conversations. The Zendesk Apps Marketplace includes many other apps that connect your Zendesk with tools like Salesforce, Microsoft Dynamics CRM, SugarCRM, and NetSuite.